Stefan Eins, Gary Gilmore drawing of Nicole Baker, 1980; photocopy appropriation by Eins for the Times Square Show; signed by Eins, 17 x 11 in. 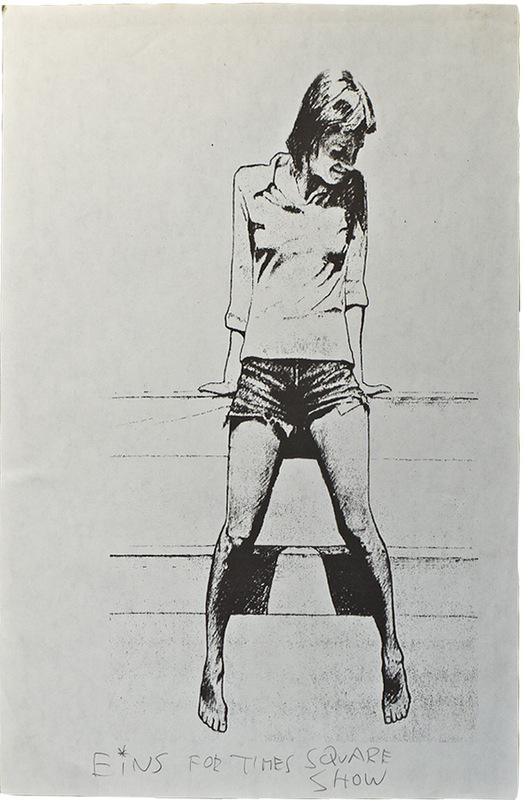 One of a series of xerox copies that Eins made from an illustration in Norman Mailer’s book The Executioner’s Song. Eins included one of these Xerox appropriations in the Times Square Show (1980) as documented in the photo below. 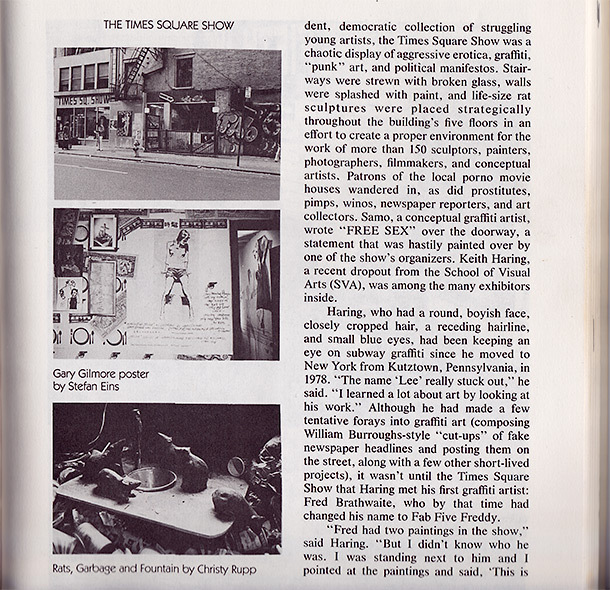 Picture in center shows Eins’ piece installed at the Time Square Show (from Steven Hager, Hip Hop, New York: St. Martin’s Press, 1984, p. 65).